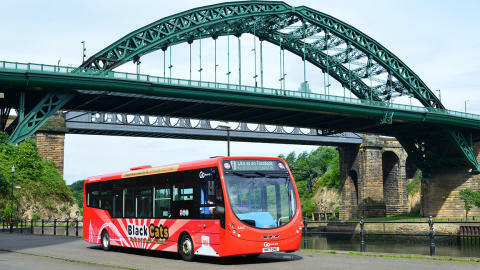 Go North East and Stagecoach North East are giving visitors travelling into Sunderland by bus on Sunday mornings from now until Christmas, a festive gift, free transport into the city before 11am. To coincide with Sunderland’s official Christmas lights switch-on with popstar Pixie Lott on Thursday 23 November, the initiative runs from Sunday 26 November until Sunday 24 December. Go North East and Stagecoach hope the free travel incentive will encourage more visitors to the city’s retail outlets and festive attractions, including the Winter market and Santa’s Grotto at The Bridges. Steve Walker, managing director at Stagecoach North East, added: "This is a great opportunity for people to enjoy all that Sunderland city centre has to offer in the build up to Christmas, with lots of festive fun and events for all the family every weekend. "Getting around quickly and cheaply can be a challenge during the busy Christmas period and so we are delighted to offer this free service for our customers to help make the most of the seasonal shopping around the city in the lead up to the big day. Free journeys are available before 11am on Sundays between Sunday 26 November and Sunday 24 December when starting your journey in the Sunderland Saver area.